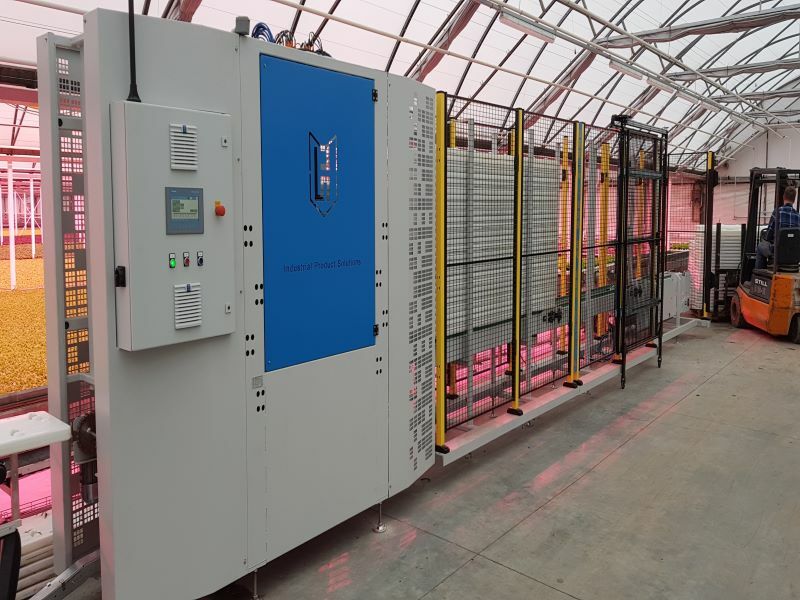 In summer 2018, IPS started with the installation of a DFT hydroponics system of one hectare at a company in Straelen, Germany. Our customer used to cultivate his lettuce in the bare soil. 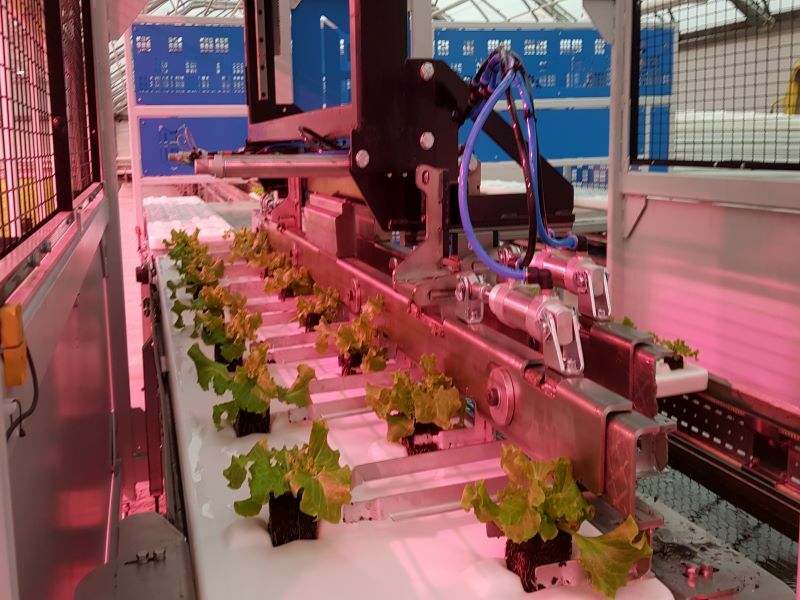 However, due to an increase demand for constant production around the year, he decided to switch to a DFT system. 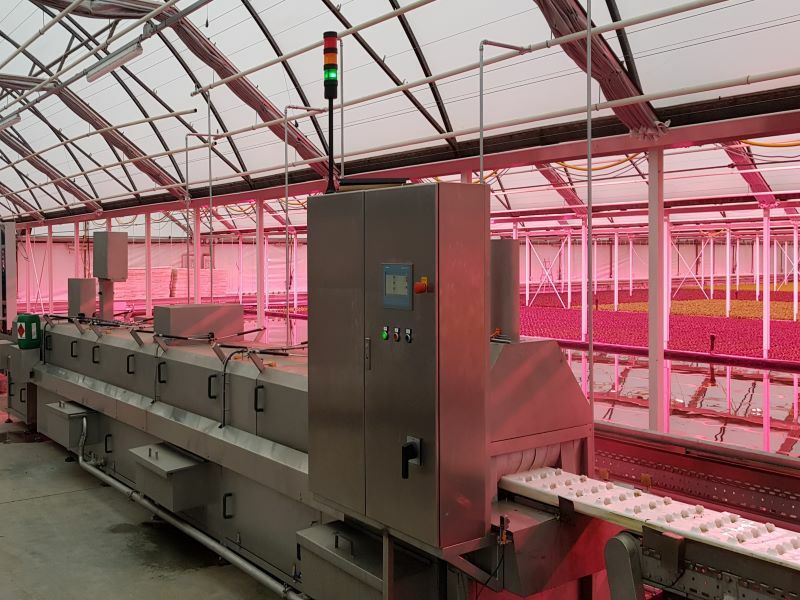 The system we supplied is fully automated, including thirteen ponds, two float cranes, a washing machine, a stacker and destacker and a transplanting robot.